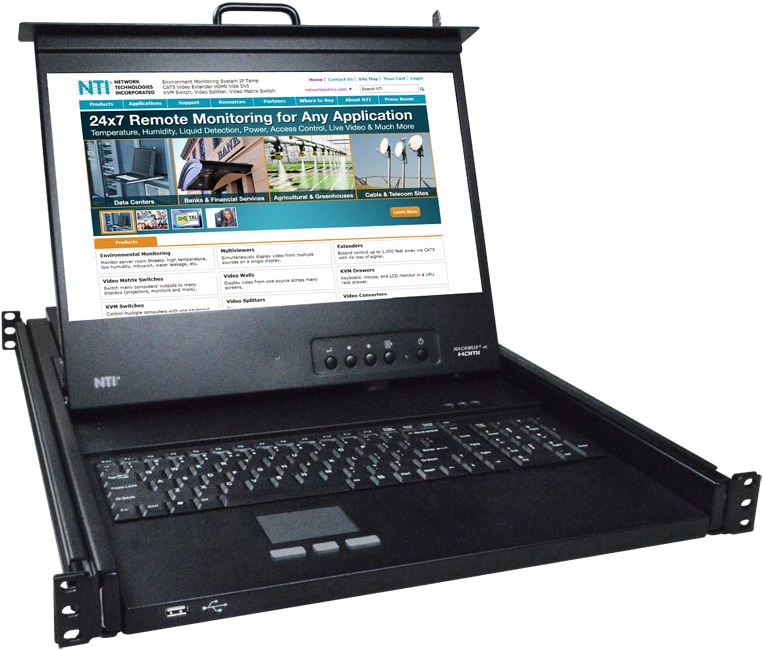 Available with forward-folding 17.3" TFT/LCD monitor. 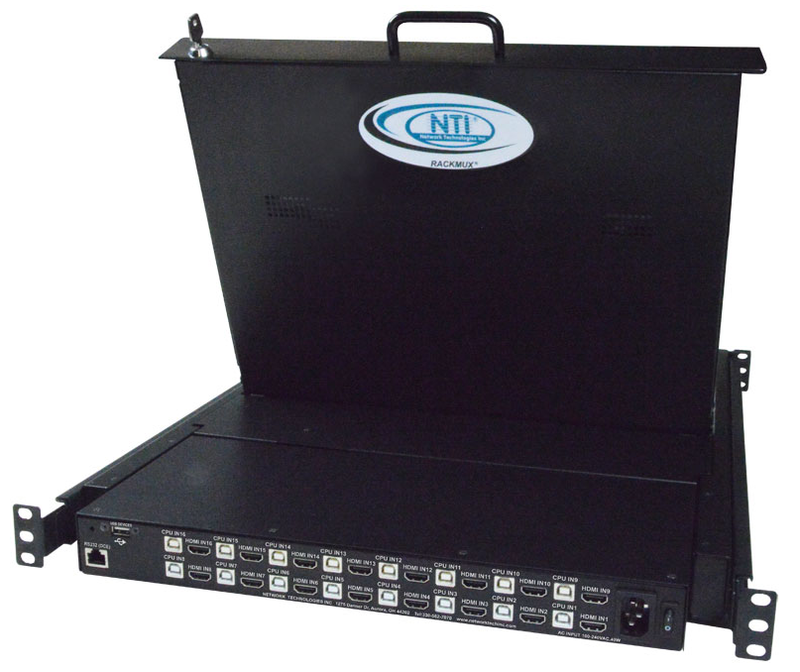 Available with a 4-, 8-, or 16-port 4K HDMI USB KVM Switch. Control up to 16 Ultra-HD 4Kx2K 30Hz USB computers. Operating temperature: 32 to 104°F (0 to 40deg;C). Storage temperature: -4 to 140deg;F (-20 to 60deg;C).